Hira Daiko are larger in diameter than in height, making them more convenient for transporting but still allowing for the sound and visual dynamics of full sized taiko. 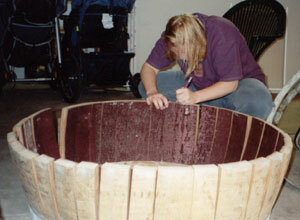 14" - 36" in diameter, height is determined by the diameter requested. 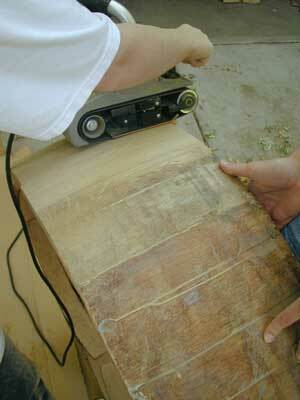 We have two standard sizes but can prepare a quote for you for other sizes. 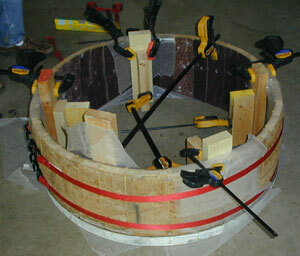 15 photos documenting the making of Theater Mu's 36 inch Hira drum.